A brand new online casino that encompasses what is soon to be the largest collection of progressive jackpot real money casino games in one place is now rattling the online casino wires. Jackpot Paradise casino has broken through all the barriers to bring flexible, diverse and hassle free real money gaming to the World Wide Web. This newbie is licenced in Malta, uses third party RNGs to guarantee randomness and a truly entertaining set of classic and 3D real money games connected to a progressive jackpot network that pays out millions in prize money every month. Jackpot Paradise has games from NYX, NextGen, Netent, Cryptologic, Quickspin, Microgaming and Quickfire managed through the Microgaming platform and Extended Third Party Interface (ETI). Instant play games are available from all these software providers; while there is also a comprehensive set of mobile games that can run on iPads, Blackberries, iPhones, Android devices and Windows. Members connect to the HTML5 mobile suites of Microgaming as well as Netent and NYX’s MOVE platform; while the instant play system of Microgaming uses Viper, Flash (AS1, AS2, AS3) that utilises Adobe Flash and Microsoft .NET to stream games. Additionally, more games designed using C++, NET, C# and Java for multi operating system compatibility connect to the NYX OGS (Open Gaming system). The casino’s innovative gaming system also connects to Microgaming‘s live dealer suites as well as their progressive jackpot network. This network links casinos such as Jackpot Paradise with 14 progressive jackpot games on the Microgaming network. Each and every casino connected to this progressive jackpot network cumulatively builds up the progressive jackpots on the slots, blackjack and other games. With so many members from a diverse range of casinos contributing, progressive jackpot payouts often reach into the millions on Jackpot Paradise. When it comes to random gaming results, Jackpot Paradise takes fair play seriously. The casino have invested considerably in order to integrate Protego’s RNG 100. The Random Number Generator is run by Protego as a third party entity that regularly updates the system. Furthermore, for added integrity, all financial dealings and member details are hidden behind a ground-breaking network of 128 bit SSL firewalls. Via Microgaming players have access to 110 dedicated Mobile games, Android, iPhone and other Smartphone games and in addition Microgaming have released over 45 HTML5 games to date all available at Jackpot Paradise casino. As the system grows more NYX games keep on coming including innovative mobile slots such as Medussa, Irish Eyes 2, Foxin Wins, Merlin’s Millions, Doctor Love, Super Safari and The Codfather all also available via mobile iOS and Android play. Right now there are over 40 NYX NextGen mobile games to play! Of course, Microgaming plays a huge part in the real money gaming section of Jackpot Paradise. 243-ways to-win progressive jackpot machine The Dark Knight is the latest state-of-the-art slot to hit Microgaming,s long list of progressive jackpot games. Adding to this, more progressive jackpot games such as Mega Moolah, King Cahsalot, Cash Splash, Fruit Fiesta and Cashapillar are all found in Jackpot Paradise‘s jackpot gaming section. At the same time, Sweden’s Quickspin, which is now connected to Amaya Gaming has released a small number of titles from its in-class inventive gaming suite. Members should hold on tight because they can expect Amaya Gaming to begin playing its part in Jackpot Paradise‘s casino suite adding further diversity to an already huge gaming suite. On the table gaming section of the site there is a huge variation of Blackjack, Roulette, Baccarat, Craps, Hold’em and 3–Card Poker games many of them connected to the Progressive Jackpot network where side bets or a Royal Flush will empty the jackpot coffers to lucky winners. Take some time looking at the various bonus offers from Jackpot Paradise because there are quite a few to choose from and up to £$€800 in welcome bonuses t&c apply 18+ Only Please gamble responsible. Jackpot Paradise has done away with the standard bonus schemes that don’t always suit the players on the casino and instead they rather suit the casino itself, which isn‘t what casino players are looking for in most cases. In a massive U-turn away from the norm, Jackpot Paradise has changed the way bonuses work on online casinos. Many of the bonuses are specifically designed for either progressive jackpot players, non-progressive jackpot players, mobile players, blackjack players and so on. Bonuses included also consider packages for the all-round casino player that likes to venture from table games and slots to speciality games and video poker. Whatever it is you are looking for, Jackpot Paradise no doubt has a bonus that exactly suits your playing preferences, which is pretty amazing because many casinos fail miserably on these points. Even the VIP section has been designed to suite a variety of players on the site. Build up your VIP level and have your losses paid back regularly via 2%, 4%, 6%, 8% and 10% insurance returns. Additionally, when you start to reach the higher VIP levels, you’ll be assigned your own personal manager with direct phone and email access. If you have a banking facility that provides instant wire transfers, then Jackpot Paradise are happy to allow deposits and withdrawals regularly via Wire Bank Transfers. This service is particularly beneficial for high rollers. Instant chat facilities directly from the website contact us page offer members with a superb quick responses customer services option. The customer support team is immediately available and ready to assistance making playing at Jackpot Paradise extremely comfortable indeed. There are also further options for direct telephone contact or if you prefer the email form under the contact us page is easy to use and response times are very quick. 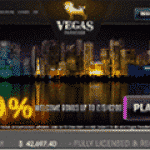 One of the most notable sides to Jackpot Paradise is the special focus on progressive jackpot machines, and the way the casino intelligently connects Microgaming, NYX and Quickspin with more titles coming from a variety of other real money software design teams connected to Microgaming, NYX and Quickspin. Moreover, bonuses that suite all manner of players, excellent customer services and a fair play policy that uses third party software to maintain the integrity of the games means that Jackpot Paradise make a very convincing case when it comes to choosing the best online and mobile casino to play at. Only Live Chat And e-mail Support.